Minnesota House DFLers unveiled their Health and Humans Services omnibus budget bill on April 3, 2019. MAFP legislative representative Dave Renner, CAE, provides a high level overview of the bill. HF 2414, which funds a broad swath of state government programing, is an enormous piece of legislation, running 998 pages long prior to the start of the “mark-up” or amendment process. Committee members considered more than 70 amendments in a marathon committee hearing lasting late into the evening on April 5, 2019. Two high profile healthcare-related items were included in the bill—the repeal of the December 31, 2019, provider tax sunset and establishment of ONEcare, Governor Walz’s version of a MinnesotaCare buy-in. Under the ONEcare plan, a health plan with a benefit set based on MinnesotaCare could be purchased by individuals who currently shop for health insurance on the individual market. The advantage of this program is that it would have a much lower amount of patient cost-sharing compared to what is sold in the individual market. The proposal uses funding from the Health Care Access Fund to begin operation, though the intent is for the program to be entirely supported by premiums going forward. Access to drugs and prescription drug pricing is also a focus of the House proposal. 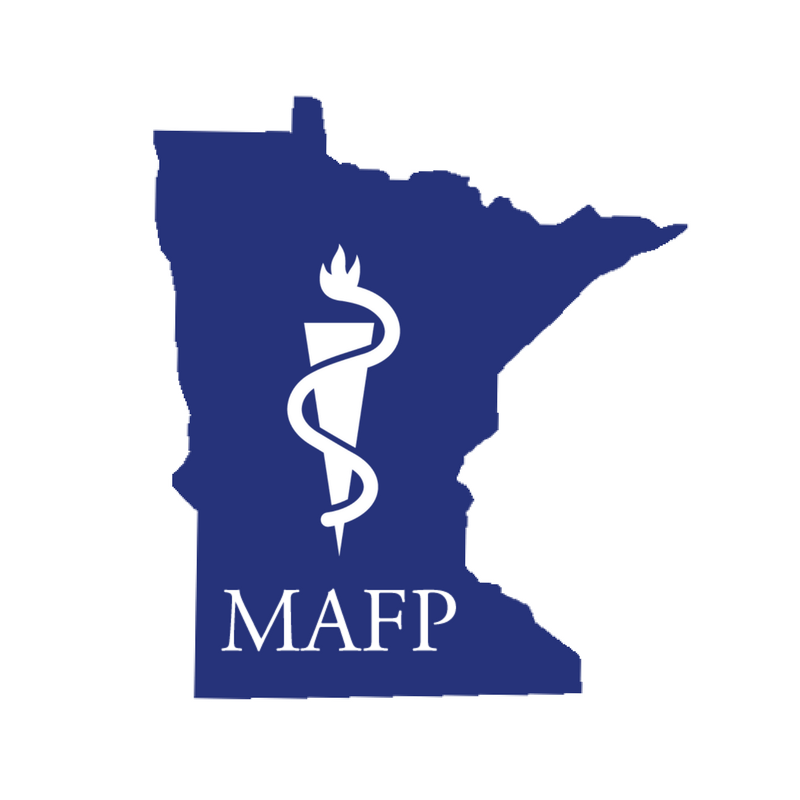 Included in the bill is a provision supported by the MAFP, authored by Representative Hunter Cantrell (DFL – Savage), to protect patients against mid-year changes in their health plan’s formulary. Representative Cantrell is also the author of another provision included in the bill that disallows health plans from requiring step therapy for patients with metastatic cancer. A separate provision in the bill extends to patients on public programs protection against repeat step therapy requirements, first passed last session. The 2018 step therapy legislation prohibited health plans from forcing patients to repeat step therapy if they have completed the process, though it had only applied to commercial health insurance products. The omnibus includes language—carried by MAFP member and Representative Alice Mann (DFL – Lakeville)—to establish licensure for pharmacy benefit managers (PBMs). This provision includes several reporting requirements intended to shed light on the finances behind PBMs and their role in pharmaceutical reporting. Research into the business practices of PBMs has increasingly pointed to the possibility that they are not reducing costs for either consumers or the healthcare system. Many observers have noted that PBMs routinely replace inexpensive or generic drugs on their formularies with more expensive brand name drugs. The omnibus budget bill also includes several provisions to support mental healthcare. The bill includes more than $9 million in additional funding for school-linked mental health services. While most school districts in the state offer mental health services for students, a minority of schools have such care available. Another provision in the bill, authored by Representative Kelly Morrison (DFL – Deephaven), an OB/GYN, would increase the number of pediatric psychiatric beds in the state. Increasing the age at which individuals may purchase tobacco and products containing nicotine from 18 to 21. Adding e-cigarettes to the Minnesota Clean Indoor Air Act. Funding for tobacco and nicotine cessation services, which is necessary with existing services provided by Clearway Minnesota soon to sunset. Medical Assistance coverage for asthma care services in homes with children with severe asthma, including things such as home HEPA filtration; dehumidifier and air filtration and allergen encasements for mattresses, box springs and pillows. Also, Medical Assistance coverage for weight loss drugs. Analysis of a single-payer healthcare system to be conducted by the University of Minnesota School of Public Health. Changes to the state’s medical cannabis program, including allowing the use of combustible plant material and an expansion of the eligible medical conditions for which patients can be certified to include any cancer diagnosis and any chronic condition for which an opioid could be prescribed. Current law allows for only the use of oils (for vaporization), topicals, capsules and tinctures. Another provision would double the number of distribution sites that can be operated in the state. An additional $500,000 to support funding for home visits for at-risk pregnant women and families with young children. Repeal of an existing statute that requires health licensing boards to maintain lists of healthcare providers who are HIV positive. Requirement that health plans cover the following: digital breast tomosynthesis for enrollees at elevated risk for breast cancer AND treatment of PANDAs and PANs as well as ectodermal dysplasia. Expanding the definitions of “network adequacy” from a geographic measure (i.e., 30 miles or 30 minutes for primary care) to include appointment wait times. Expansion of coverage for contraception. The Minnesota Senate Health and Human Services budget bill will be introduced soon, though it is certain to contain far fewer provisions. Given the vast differences in the two bills, a conference committee of members from both bodies will be appointed to negotiate a single bill for consideration in both bodies.